For over 50 years, MINI vehicles have achieved worldwide popularity for their nimble and responsive handling, exceptional fuel efficiency, an almost limitless range of customization, and unique personality. 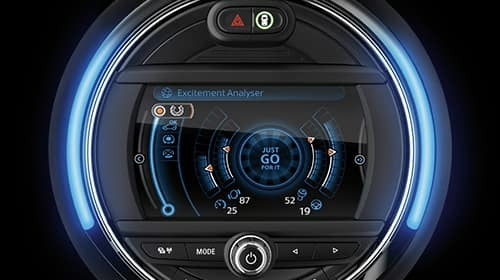 Today’s MINI vehicles retain all of these characteristics so adored by their owners along with cutting-edge tech features. Designed to keep you safe, simplify your life, and improve your motoring experience — MINI offers innovative features on every model. 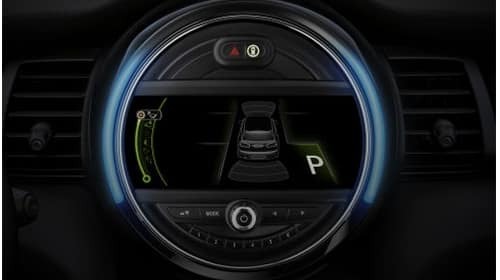 MINI of Ann Arbor has assembled this guide to highlight only a small selection of these groundbreaking technologies found on many 2018 MINI vehicles. MINI Connected funnels the power of your entire MINI into an intuitive command center featuring a stunning 6.5-inch or available 8.8-inch display. Simple-to-use communication, performance, and entertainment technology are right at your fingertips with the intuitive MINI Connected system. 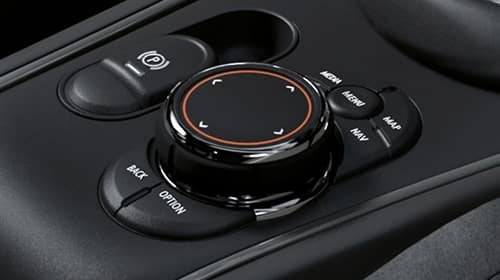 Seamlessly connect and control your phone or device with steering wheel-mounted buttons. Stream your favorite music, make phone calls, and even send text messages without taking your hands off of the wheel. Control the power of the MINI Connected system by using the tactile buttons, or simply write a couple of letters with your finger on the touchpad to enter a destination or play a tune. Located within arms reach, the Touch Controller helps keep your eyes on the road ahead. 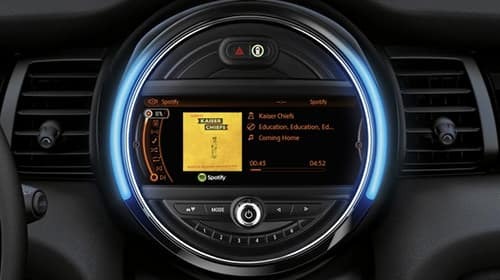 MINI Connected gives you the ability to browse and play your favorite tunes from Pandora, iHeartRadio, Spotify, web radio, and others — all from the dashboard of your MINI. Now all of your favorite media can come along for your next adventure. 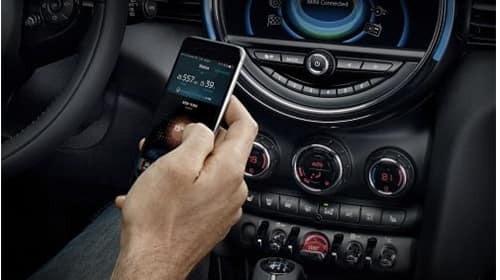 Because it’s tailored specifically for your favorite apps, you can use the intuitive controls on your MINI instead of fumbling with your phone. Acting like a responsive mood ring, a sleek LED ring changes color in response to your driving mode, engine speed, climate control, audio volume, or interior lighting. It can even interact with the driver, providing a responsive and colorful gauge for power and volume. 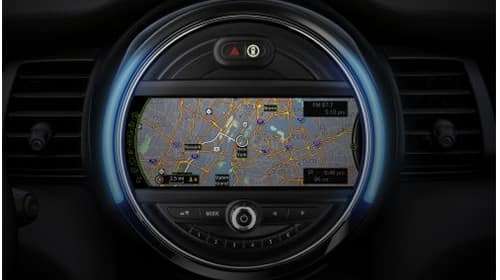 In order to help you get your destination with as little headache as possible, the MINI Navigation System provides real-time traffic updates along with alternate routes for most major cities. Every turn is displayed directly on the gorgeous HD display. 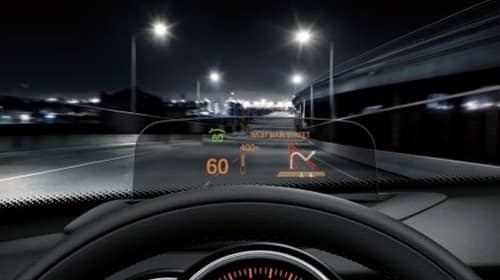 Inspired by aircraft cockpit technology, a retractable Head-Up Display places important information directly onto your line of sight. You’ll always be aware of essential motoring info including stereo, navigation directions, speed, and other alerts. Take the stress out of parking your MINI with Parking Assistant. Using this technology, your vehicle can size up potential parking spaces and take control if there’s room to park. It will then steer the car into place while giving precise commands to the driver to apply the throttle or brake. 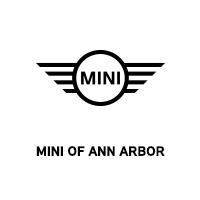 MINI of Ann Arbor invites you to come experience the latest technology found on MINI vehicles. Browse our complete lineup of MINI vehicles online at your convenience or stop by in-person at the dealership. We’re always happy to chat about all things MINI!